EXARC decided to organise another symposium in Autumn 2002, in Unteruhldingen, Germany, on "Archaeology and Interpretation". This 4th EXARC meeting was a success. A majority of members convened, together with more specialists. During the Seminar, the EXARC guide was presented. Participants got a clear view of how science and the public were dealt with in Unteruhldingen and Southern Germany in general. The technical matters we reviewed considered the legal status of EXARC and our website. We also agreed to encourage members to share information with EXARC itself about what they are doing, what events, which possible problems. 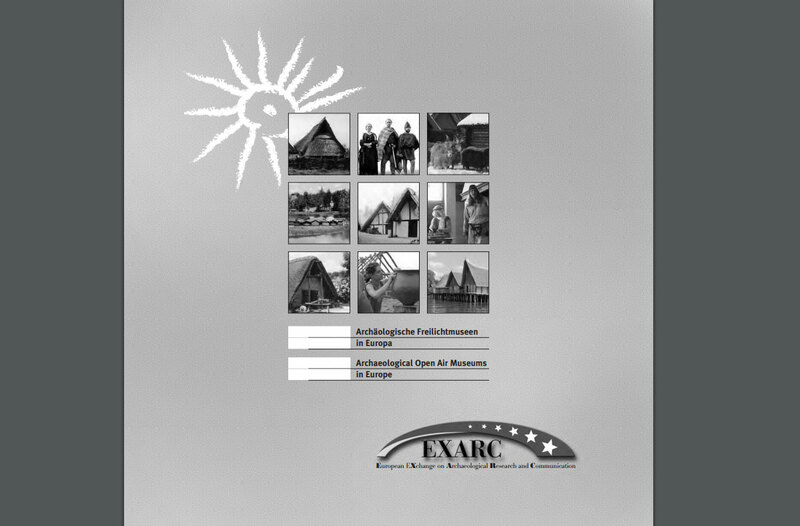 In 2002, EXARC published a bilingual brochure (English & German), containing its first overview of archaeological open-air museums in Europe. The prefaces and the published standards give a clear picture of where EXARC is standing. In the first part of the booklet we introduce 19 archaeological open-air history museums which have already joined our organisation or which are on the list of candidates. At the publication of this booklet, we had 17 member museums and 20 prospective members. In the appendix on page 47 you can find a complete list of names and websites of archaeological open-air museums in Europe which will be updated in future editions. This collection was published to give an overview of the astonishing number of archaeological open-air museums in many European countries. EXARC’s website was an important foundation for this publication. This Guide is not available anymore.